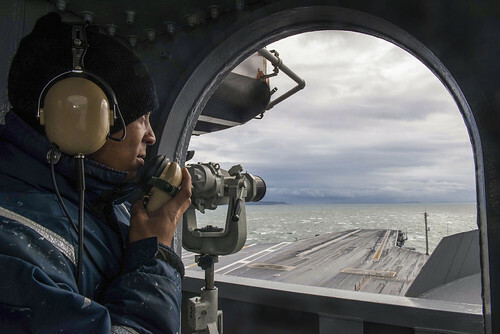 BREMERTON, Wash. - USS John C. Stennis (CVN 74) returned from a two-week underway, Jan. 29, after conducting routine training. During the underway, John C. Stennis Sailors conducted damage control and firefighting training, medical training, and exercises designed to maintain technical and tactical proficiency in a variety of warfare areas. While in port in San Diego, John C. Stennis successfully completed Command Assessment for Readiness and Training (CART) phase II inspection. The evolution evaluated the crew’s ability to respond to damage control, medical emergencies, and other casualties. With the completion of CART II the ship continues preparing for Tailored Ships Training Availability and Final Evaluation Problem. John C. Stennis is in port preparing for future operations and its next scheduled deployment.